Are you looking to find out more about what it means to become a Microsoft Dynamics 365 Business Central partner? Whether you are already a Microsoft Partner or entirely new to the Microsoft space, this article will give you tools to help you explore the Dynamics 365 Business Central partner opportunity. Why become a Dynamics 365 Business Central Partner? Many companies are undergoing digital transformation. They’re changing the way they engage with customers, improving the way they empower employees and optimizing their operations. This process requires effective business applications – such as Dynamics 365 Business Central. There are several interesting ERP solutions available on the market, including other Dynamics 365 products – so what specific value does Dynamics 365 Business Central bring? Dynamics 365 Business Central targets SMBs, and the SaaS market for SMBs is growing. Compared to other ERP systems, its deployment is faster and easier. It’s a set of Cloud-based business applications which can be accessed from a variety of devices. Business Central deeply integrates with Office 365 as well as many other software products and applications. The product allows companies to manage various business activities, including operations, finances, sales, customer service, supply chain and more. 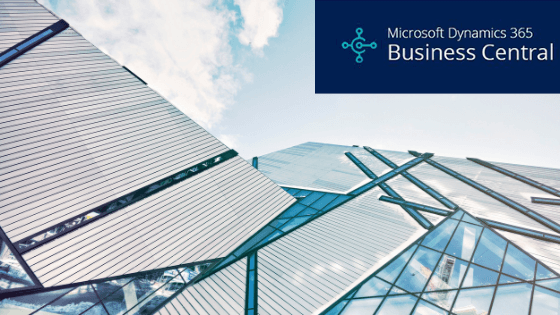 To learn more about the Dynamics 365 Business Central solution capabilities and pricing, you can visit the Business Central page on the Microsoft website. 5 reasons to start a Dynamics 365 practice. LE: Are you Ready for the Microsoft Dynamics 365 Business Central Opportunity?